Pope Francis’ Paradox A Humanae Vitae effect for Pope Francis’ pontificate? The passing of Cardinal Jean-Louis Tauran can be considered the end of an era: that of the important Vatican diplomats, cultivated men of the Church with the skill of building bridges, that defined the Holy See for more than 30 years. Cardinal Tauran was since 2007 president of the Pontifical Council for Interreligious Dialogue, and in that capacity he achieved very important important successes. While in August 2014 Daesh was setting Irak on fire, Cardinal Tauran called on all the partners in dialogue to condemn the acts of the self-proclaimed Caliphate. Some months after, Cardinal Tauran issued a declaration saying that a dialogue with Islam was not only still needed, but that it was a must. It was Cardinal Tauran who established links with the Sunni university of al Azhar that paved the way of Pope Francis’ visit to Egypt, and it was the very same Cardinal Tauran who traveled to Saudi Arabia for an historic trip, the latest of a series of commitments undertaken before the worsening of the illness that led to his death. All of these successes came from his diplomatic formation. He had served during the 80s in the nunciatures of Santo Domingo and Lebanon. During the 90s he was under-secretary and then secretary for the Holy See relations with the states (that is, Vatican vice-minister and minister of Foreign Affairs). Then, he was called to be the Vatican Librarian, until Benedict XVI tapped him for the helm of the Pontifical Council for Interreligious Dialogue and also appointed him president of the Commission for the Religious Relations with Muslims. It was not an easy time for Muslim-Catholics relations. The Regensburg Lecture in Sep. 2006 sparked controversies, discussions and accusations. The lecture, however, was also at the basis of a movement of Muslim Intellectuals, gathered around one of the main representatives of the Jordanian royal family, who sent a letter – the so called letter of 138 – that opened a round of dialogue until then thought impossible. At the beginning of his Pontificate, Benedict XVI had thought about absorbing the Pontifical Council for Interreligious Dialogue within the Pontifical Council for Culture, under a single president. Instead, he made Cardinal Tauran the key to dialogue. It was a signal, as the path of encounter requires diplomatic finesse and great culture, in order to preserve the truth of faith. Since that appointment, Cardinal Tauran started working in the diplomacy of the encounter, that he interpreted as a diplomacy of truth. That is: dialogue is important, but dialogue cannot take place at the expense of faith. Cardinal Tauran worked on a straight line, and his clarity garnered him the esteem and friendship of many. The first contact with Saudi Arabia dates back to the 2012 KAICIID foundation, the Vienna center for interreligious dialogue financed by the Saudi family in which the Holy See participates as an observer. That center is the first step of a path that led Cardinal Tauran to visit Saudi Arabia last April. There, he also celebrated a Mass for the Catholic Community. He thus set an important benchmark in a country where worshiping by non-Muslims is tolerated, but not practiced in public. The benchmark was even stronger, considering that Cardinal Boutros Bechara Rai, Patriarch of the Maronites, did not celebrate Mass during his visit to Saudi Arabia at the end of 2017. Cardinal Tauran always worked highlighting lines of dialogue and concrete points of connection between Christianity and other faiths. Once he had identified them, he developed them, according to a lifestyle that also followed a diplomatic model. This modus operandi is at the basis of the restoration of relations with the Egyptian Sunni world. After the Pontifical Council for Interreligious Dialogue paid a first visit to al Azhar, Pope Francis met three times the Grand Imam al Tayyeb and traveled to Egypt, something unthinkable since Benedict XVI condemned Christmas attacks against Christians in 2010 and caused the ire of the then government of Egypt. Not by chance, Pope Francis always held the greatest consideration for Cardinal Tauran, and kept him on the IOR board of cardinals, the only member of the previous board who stayed on. In general, all the popes have shown appreciation for Cardinal Tauran’s work. Not surprisingly, everybody remembered him with love, as the champion of dialogue was a champion of truth, a defender of the Church, a reliable partner for his interlocutors and a real Catholic priest. Now that he passed away, many questions arise. 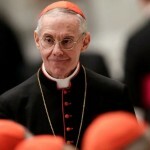 The first: who will replace him at the helm of the dicastery? A bridge between old and new, Cardinal Tauran had been able to be a Pope Francis’ man, though remaining the same person whose career advanced under John Paul II and Benedict XVI. The profile of the new president of the dicastery will say a lot about its future: will the new head be another super partes man, or someone who has already worked in some particular field of the dialogue? The second question is about the future of the dicastery. Until now, the Pontifical Council for Interreligiuos Dialogue has not been included in any plan of reform. Things can change. Cardinal Tauran had the right personality to keep the dicastery balanced between diplomatic and dialogue needs. Will the Secretariat of State take over more control on some themes, or at least in preparing some of the themes? Will the dicastery keep its prerogatives? Or will the dicastery be combined with the Pontifical Council for the Promotion of the Unity of Christians? A third question relates to the future of interreligious dialogue. With Cardinal Tauran, dialogue was set on the path of truth, even when it seemed that the notion of the culture of the encounter had brought on a pragmatic approach to the selection of areas for encounter that avoided controversies. What path will the Pope follow? These three questions remain, and are about the future of the Holy See itself. With the passing away of Cardinal Tauran, in the end, one of three larger than life French – Vatican personalities of the 90s is lost. The other two are Cardinal Roger Etchegaray and Cardinal Paul Poupard, both of them retired, both of them extraordinary bridge-builders – Cardinal Etchegaray paved the way of relations with Cuba, Cardinal Poupard those with Soviet countries. All of them were fundamentally convinced that Catholic culture was the way of the future. All of them set their dialogue in order to build a real presence of the Church in the world. 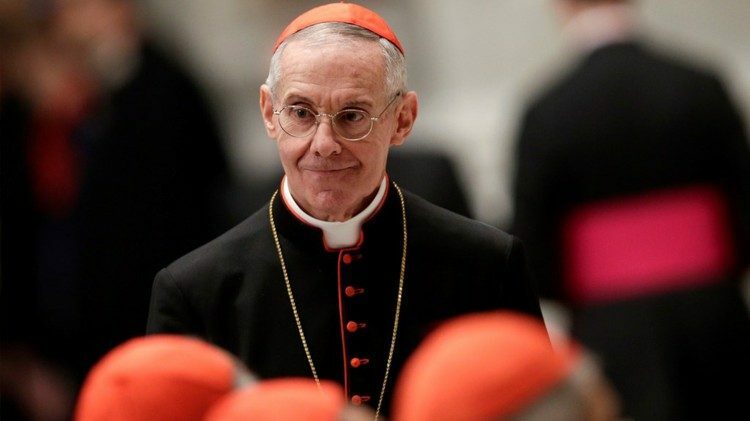 Perhaps, Cardinal Tauran’s death is the signal that, as the main characters of those era are passing away, a new era is emerging, where the Church will always be less of a protagonist in the public space.